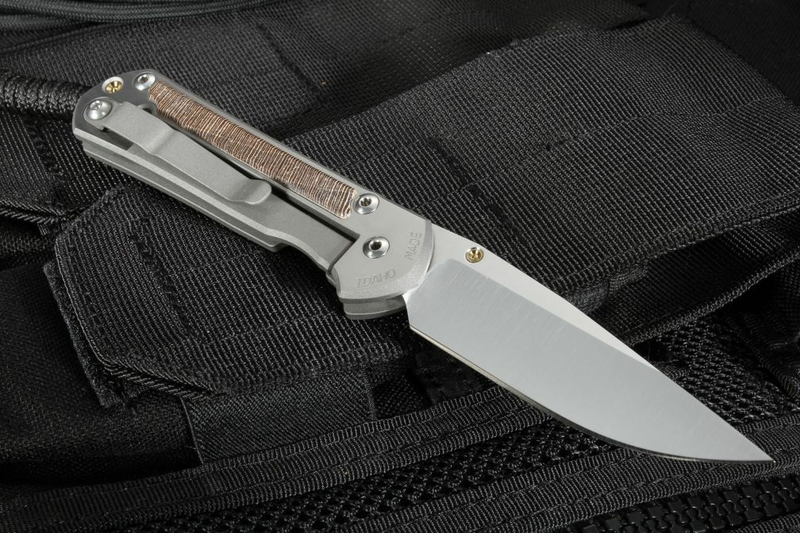 You'd be hard-pressed to find a better and more solid folder than the Small Sebenza 21 with Striped Platan wood Inlay from Chris Reeve Knives. The Sebenza 21, initially introduced in 2008 and always made in the U.S., has been touted by reviewers and regular knife owners alike as one of the best everyday carry knives you can own. This wood inlay sebenza features top-shelf striped platan wood handles for an upscale yet solid feel. 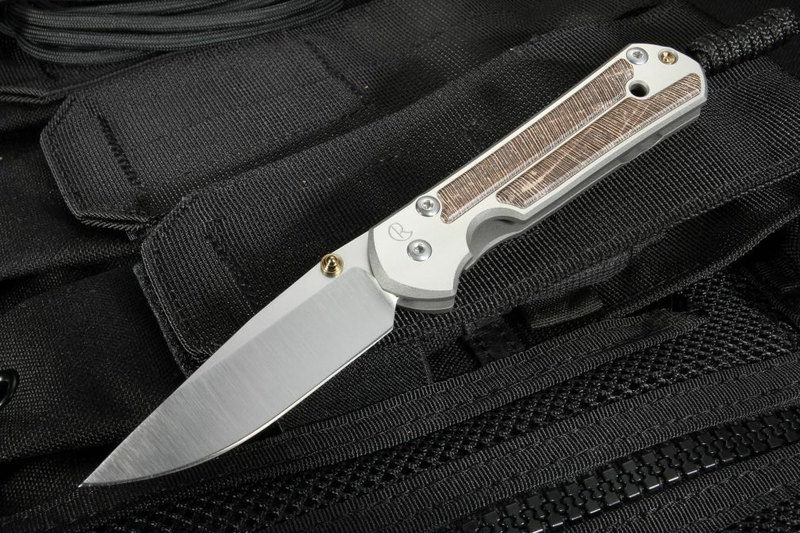 The drop point blade, constructed from American Made CPM S35VN steel that measures a hardness of 59-60 RC, features sharp hollow grinds and satin finished flats. The American-made CPM S35VN steel provides the user with a well-balanced blade that holds an excellent edge, is tough and provides a rust-resistant finish. The satin-finished titanium handle flats are inset with striped platan wood gives the knife a good grip with contours that properly fit your hand. Each Sebenza 21 handle has three machined areas for inlays -- two in the front and one in the back, adjacent to the titanium pocket clip. The striped platan wood inlays are fit to an extremely tight tolerance. It's the small details that make this knife a joy to own and use. An anodized gold-colored titanium thumb lug makes opening easy and coordinates nicely with the striped platan wood inlays. The titanium pocket clip is positioned for blade tip up carrying. The overall knife, being constructed primarily of titanium, is lightweight at 3 oz. and easy to carry, with or without the included lanyard. KnifeArt is an authorized dealer for Chris Reeve Knives and we specialize in a curated collection of top-quality knives and tools.